This year appeared to be all about MMOs at E3, with some thirty plus titles being showcased in the genre. Planetside 2, End of Nations and Defiance have all been seen by the GL crew at some point, and I got in to see Perfect World’s offerings of RaiderZ and Neverwinter. 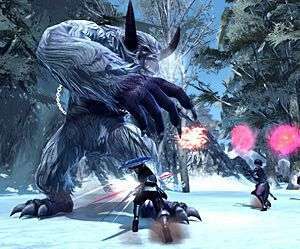 RaiderZ has been created by the team behind GunZ, the non-stop twitch action shooter in a manga style. This new game from Ijji is a colossal sized, free to play monster hunting action MMO with some RPG elements. 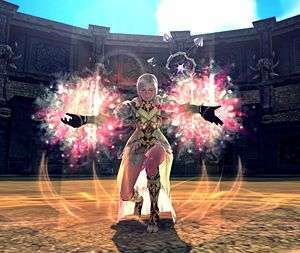 The developers have decided on what is effectively an almost classless character progression where you can diversify your skills after level ten into any of the four categories: Defender, Cleric, Berserker and Sorcerer. There are no restrictions on how you build your character skills apart from the initial level ten choices, so you could either choose to specialise in one category, with some minor expansions, or you could choose to create a ‘jack of all trades’ type of character who has dabbled in everything. That struck me as quite a novel approach as it leaves the decision to the player, and offers a wider variety to the gameplay. With up to eight people in a hunting party, they are really pushing the idea of forming parties and heading out into the wilderness to hunt the big prey. In the section we saw, the players were heading into the mountains looking for a huge werewolf matriarch. Along the way they had to deal with skeletons, spirits and lesser wolfies before attempting to take out the big she-wolf. Combat seemed quite intuitive and you could map your abilities according to your chosen weapons, with two sets being interchangeable as you swap between equipped types. During combat, your enemies will likely drop items or even parts of themselves and you can then utilise those bits and turn them back on the foe. For example, killing a skeleton would leave behind either a skull or a femur which you could then pick up and throw at another monster or run and smack them with it. Group activities are a part of the game too, and come in the form of banqueting and music – setting up a banquet as a group is like making a campsite and your party can then partake of each other’s supplies of food and drink, which then gives the party bonuses for a short time to aid hunting. Playing instruments as a group also adds bonuses to your party, giving you protection or the ability to hit multipliers and things of that ilk. It was an interesting concept and one which I think they were trying to utilise to stand out from the ever-growing crowd. There are 15-20 areas in the RaiderZ world, each broken down into smaller sections that you can explore. They are expecting the closed beta to be available some time in Q3 this year with the open beta coming very soon after, and there is also a player versus player option in the game whereby you can invite another player to do battle. It’s up to them whether they accept your challenge though so you can’t just wade in and start wailing on some poor unsuspecting soul. Neverwinter is a much more classic styled Dungeons and Dragons Action MMORPG. Set in the Forgotten Realms, Neverwinter is on the northwestern coast of Faerun and has been devastated by a volcanic eruption that rained fire on the city, leaving it a shadow of its former self. Waterdeep has taken the city under its protection and put forth a call to adventurers to explore and defend the battered region and save it from Evil. It is another free to play model, with a five player party option and it looks stunning. Neverwinter uses the Dungeons and Dragons rules and character classes, so there isn’t much freedom once you’ve chosen your initial path. I got to play through a section full of werewolves as a mage and I have to say it was really enjoyable and easy to play, as the character controls are nice and simple, and the key-mapping worked well. 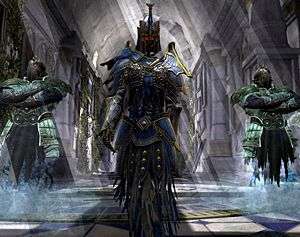 I’ve always been wary of magic users in gameplay because of their innate weaknesses at lower levels and the time it takes to cast stronger spells, but with the mage I played in Neverwinter there seemed to be just the right amount of balance, although whether that was because the character had already progressed beyond the beginner levels I’m not sure. Steeped in Dungeons and Dragons Lore, Neverwinter promises epic stories, action, combat and classic role playing using an easy to grasp system that should keep you wanting more. It will be 100% free to play, no box, no subscriptions, but it will slot into Perfect World Entertainment’s Zen currency system where you’ll be able to purchase items in the cash shop. Beta keys will be available soon as the expected release date for the game is 4th quarter 2012, and I must say that as a long time fan of Dungeons and Dragons, I’m very tempted.